Archeologists say the findings mark a breakthrough that requires a rewriting of the history of Cameroon and the rest of Central Africa. Artifacts from hundreds of archeological sites from southern Chad to the shores of the Atlantic Ocean in Cameroon have turned up several surprises. The research was conducted between 1999 and 2004 as construction was underway on the underground petroleum pipeline. The pipeline is sponsored by the World Bank and runs from Chad to the port of Kribi, Cameroon. Researchers say at first, they set out merely to deepen their archeological knowledge of the areas straddling the pipeline trench, which is more than 1000 kilometers long. Other artifacts excavated by the researchers include pottery and iron-smelting furnaces. In late May, scores of researchers from around the world converged on the Cameroonian capital, Yaounde, for the International Conference on Rescue Archeology. At the meeting archeologists introduced the new findings in a book titled: “Kome-Kribi: Rescue Archeology Along the Chad-Cameroon Oil Pipeline; 1999-2004. The researchers have urged governments in Central Africa to use the new documents to rewrite regional history. They say knowledge of a people’s cultural heritage and historical evolution is crucial in understanding their value and contribution to the world. It adds a lot to our knowledge but also links different kinds of archeological culture according to Pierre de Maree a professor of anthropology and archeology with decades of fieldwork across Africa. “ We’re starting to see what was going on about 3,000 years ago around Yaounde,” Maree explains. “This is very interesting because what we see is more and more evidence of a very sophisticated culture of who was settling the forest 3000 years ago. 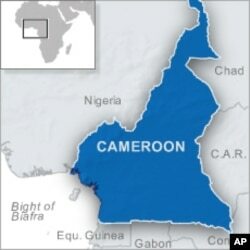 When I started to work in Cameroon almost 40 years ago, people had the idea that Cameroonians were not from here. In fact, archeology proves that the present different groups have been living in the same place for thousands of years,” Maree says. Officials at Cameroon’s Ministry of Culture pledge to preserve the research findings and act on recommendations of the archeologists. They include the creation of a national commission on cultural heritage, which would work to avoid the destruction of archeological sites during major infrastructure projects. Other recommendations are the construction of a national museum and the strengthening of laws on the conservation of cultural artifacts. They are all in line with global objectives laid down at the 1992 Earth Summit in Rio de Janeiro relating to the preservation of the heritage of human beings. Raymond Asombang is a lecturer in the Department of Archeology at the University of Yaounde. He says for the time being, the relics will be preserved until government acts on the recommendations. “We’re going to keep them in museums where people will come to see, to know that people lived in Cameroon at a certain era; that this is what they were able to achieve – because we need to know that in civilization, you are only adding your own contribution to the contributions of other people. So when we see what our ancestors have done, we will know what our contribution to that civilization will be,” Asombang says. Archeologists say they will continue digging for clues to ancient Cameroon so today’s Africans can have an accurate understanding of the past.